A Christmas tree representing Australia is one of 36 on display at the Blennerhassett Museum of Regional History. It’s beginning to look like Christmas at the Blennerhassett Museum of Regional History in Parkersburg, West Virginia, where the “Trees of Our Heritage” display is underway through Dec. 23, 2018. The annual event features 36 Christmas trees representing cultures around the world and memorials and holiday themed displays on the museum’s three levels. A new tree was added this year as a memorial or tribute tree for World War I, which ended 100 years ago this month. “This special exhibit of holiday trees is a great way for folks to connect with their family heritage and learn more about different holiday traditions celebrated by other countries,” said Pam Salisbury, event coordinator for Blennerhassett Island Historical State Park. 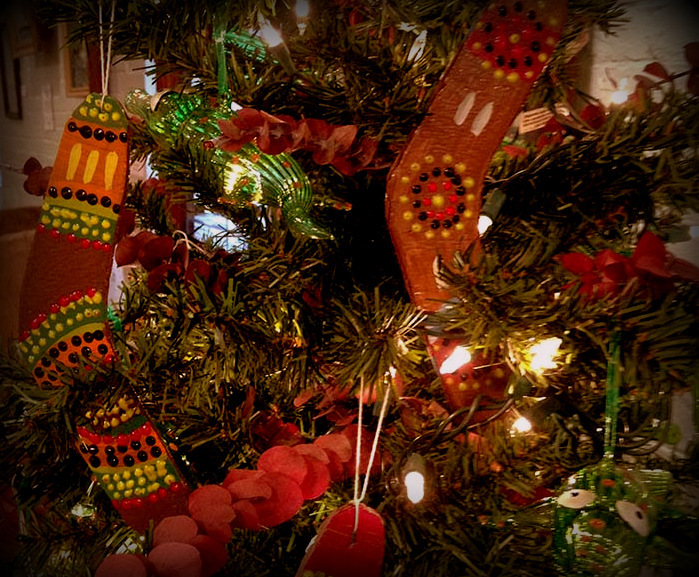 The museum gift shop will be open with many special items for the holiday gift-giving season. Gift-wrapping will be available. The museum also features a video about the Blennerhassetts and the history of the island. Exhibits relating to Parkersburg and the Ohio Valley are on display from early-ancient to 20th century relics. The museum is open Tuesday through Saturday, 11 a.m. to 5 p.m. and Sundays 1 p.m. to 5 p.m. through Dec. 23. Admission rates are $4 for adults and $2 for children 3-12. For more information, call 304-420-4800. The museum is located at 137 Juliana Street near the Blennerhassett Hotel.